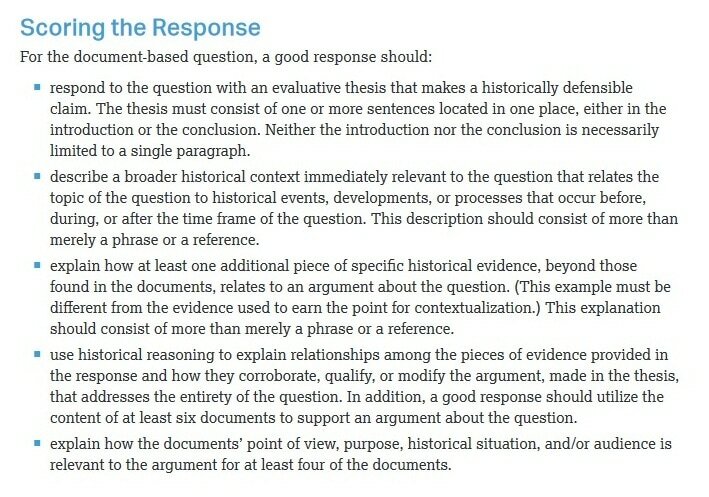 The DBQ is the College Board's baby. You will have one of these in any of the Social Science AP Exams you take. Luckily (as of 2017), they are now are streamlined so that they all have the same rubric. You will have 60 minutes to write this beast. 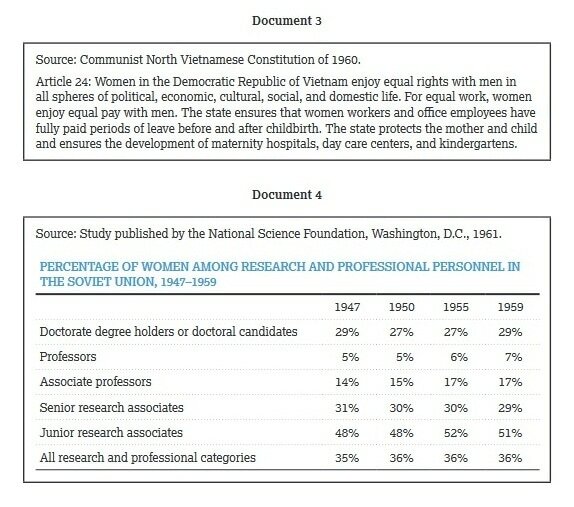 You get 7 documents (@least 1 visual). Read them. Form a thesis. Form an argument. Answer the question. 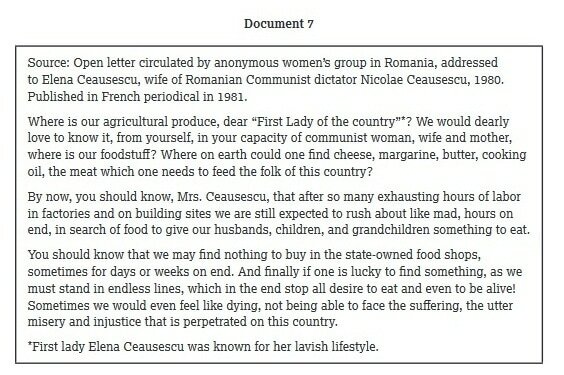 Use 6/7 documents. Gotta show source info on 4/7 (POV, Purpose, Historical Context, or Audience). And you gotta contextualize by putting your argument into historical perspective. Last bit=synthesis. Extend the argument to another time, theme, location, or discipline. OK. The DBQ is kind of a monster. The Multiple Choice is just that... a question with four multiple choices. The short answer is the same... questions with short answers. But, the DBQ has some moving parts. 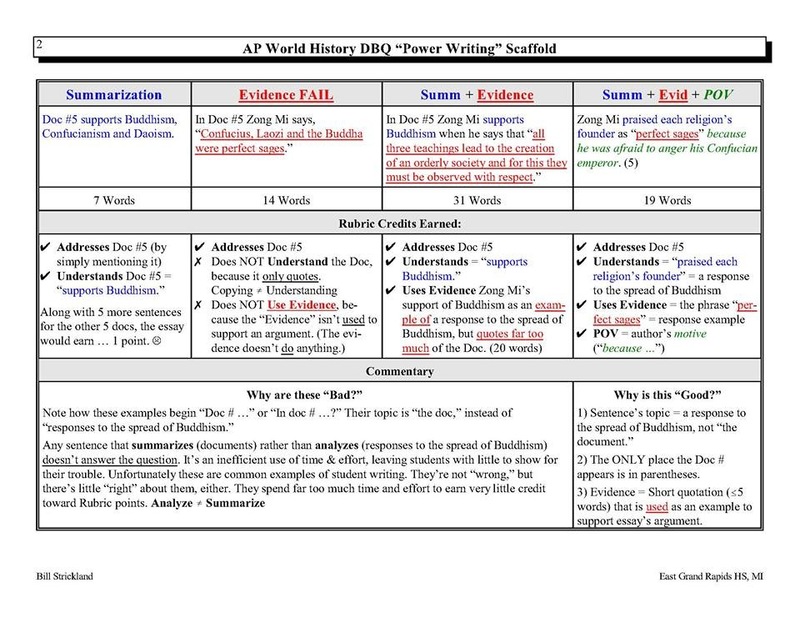 So, CLICK HERE for a file on the DBQ rubric and how you will be scored. 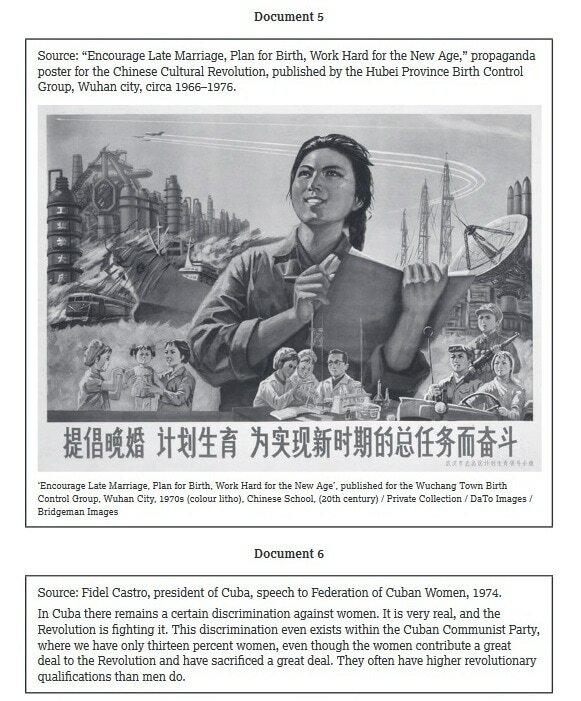 The document on the left is what you have to complete. 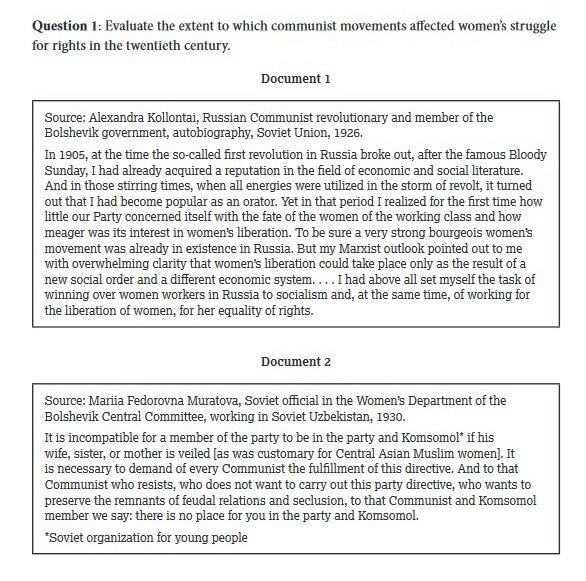 The document on the right is an example of a rewrite.